Wednesday, March 4, 1914: Same as ever. 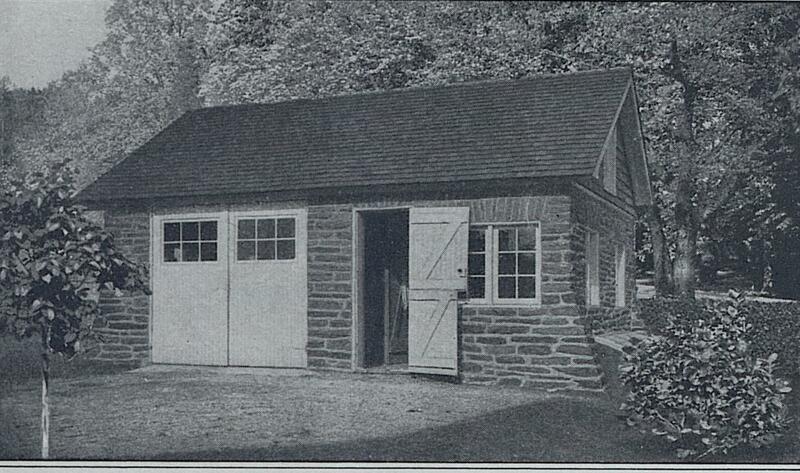 Here is a garage which, though simple in design, has been made attractive by careful consideration of details. The stonework gives the impression of strength and durability, and the use of long double casements is unusual. Since Grandma still was in a rut when it came to writing diary entries, I’m going to share some fun drawings of garages that I found in the April 1914 issue of Ladies Home Journal. I was absolutely amazed that enough people apparently had cars a hundred years ago that the magazine decided to do an article garage design ideas. The exterior of this garage, with the rough plaster base, shingled walls, and the broad low roof, harmonizes with the bungalow to which it belongs. This garage was planned for the motor enthusiast who also loves gardening. At one end is a spacious tool and work shed. This garage is well-designed and inexpensive. The pent roof is not necessary, but keeps it from being commonplace. Excellent judgment was used in the selection of the site, the choice of materials, and in the general design of this garage, which opens directly on the street. Posted on March 4, 2014 March 3, 2014 by SherylPosted in OtherTagged 1914, family history, garages, genealogy. I’m surprised too. Is that last one just a garage, or a fully-fledged home? If the garage on the property was that fancy, I’d like to see what the home looked like. Quite. Room for the chauffeur and family at least, eh? 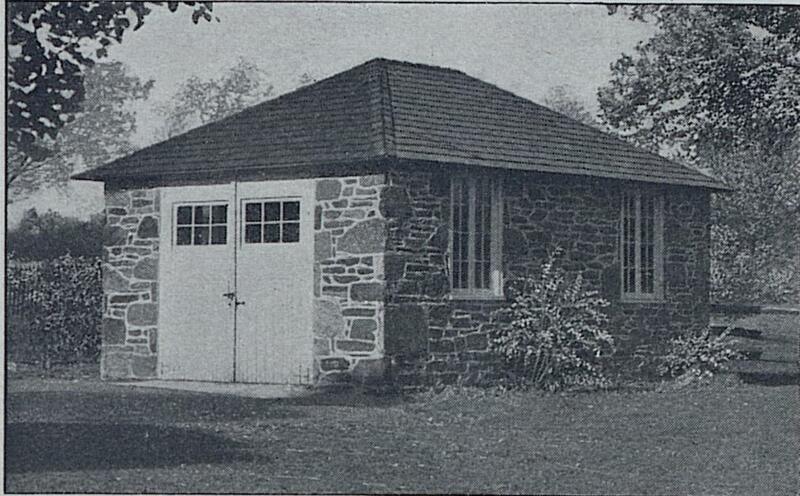 My mind is wandering as to why detached garages were popular in the past and now we mostly have attached garages. 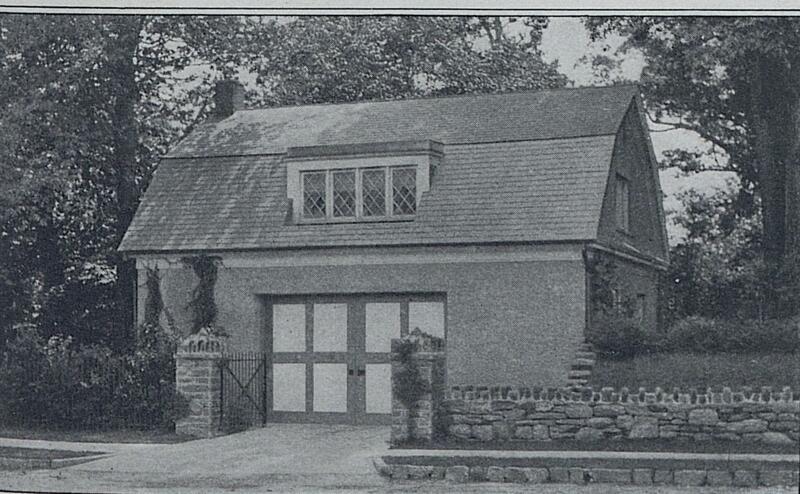 I know that many early garages were converted stables, and who would want a stable attached directly to their house. I believe that this carried over for many years. Have a nice separation between your garage contents (Car, Lawnmower, Trash Cans, etc..) and your house. Now it is much more about convenience. How nice is it to pull into the garage and be only steps away from your kitchen. Makes putting away groceries much easier. I am thinking back to the houses I grew up in. The house where I lived in Grade School did not have a garage, and where we lived in Jr. High and High School we had a detached 2.5 car garage with a work area and loft. In the two houses I lived in I have had attached garages. In my first house I had a two car garage that took up most of my basement. Now I have a smaller two car garage that is attached. There definitely are some advantages to attached garages. . . especially when the weather is bad. So funny to think of garages as “the new thing” about which people needed guidance! Today we take them so much for granted! Cars will still a novelty back then . Ah…the love affair with our cars was strong even then. I’ve seen some just like the first picture. Sturdy looking. So have I. It’s amazing to think about how old some garages probably are. Living in a rural area, folks were fortunate if they had a “shed” or old barn under which they could park their vehicle! It seems like functionality and lot size affect the placement of the garage more than principles of good design. All I can say is, those garages are pretty classy, reflecting how much the car was valued. 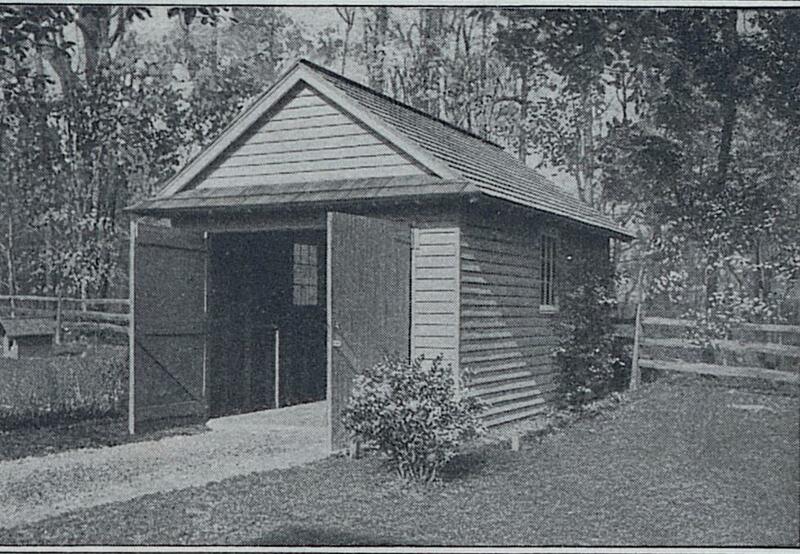 Also interesting — making it a gardening shed at the same time. Even in the early days of garages, people apparently sometimes combined storage space with a place to park the car. Great shots of early garages in the U.S.A.! I’m sure more and more people were getting cars, but only the few had such lovely homes for them. I think that a saw a chart somewhere about the number of cars in various years, and it was amazing how rapidly the number of cars in the US increased from year to year during the 1910s. The second floor of the last picture would make a great “mother-in-law apartment”. Dreams can sometimes be more important than reality. Your blog has made me think of several pre-fab garages they put up near us recently. My, my the world doth change right under your nose. I can hardly remember what was on a nearby corner that now holds a new modern, rather ugly building. Oh dearie me. I know the feeling. In the suburb where I live, it seems like commercial buildings are replaced with new buildings with amazing frequency–and I’m always frustrated when I can’t remember what was previously at a location. Really enthralled with the garage/shed combination! It seems like a really practical combination. Thanks for pointing out the wonderful quote. . . Good design can make a real difference. I can make a lovely home out of that last one!! lol They are all great. I can picture the last one having a really fun second floor apartment. Oh my goodness I love them all, but my choice is the garage/ gardening shed. I wonder if these garages set the tradition for detached garages…and if the practice of building a house with a connected garage only happened when cars became commonplace. I’d guess that attached garages only became popular after cars became commonplace. .. and were seen as a necessary part of people’s daily lives rather than entertaining novelties. Is it possible that people parked their carriages in these buildings before they had cars? You couldn’t leave the carriage in the stable with the horses — or could you? Those pictures are amazingly modern, aren’t they?